When you open a credit card account, your revolving credit can be used to build a good credit history, provide security in emergency situations and make purchases where MasterCard® is accepted. Manage your credit card online with GoToMyCard. Shop over 2,000 merchants at our Perks Points Mall network and be rewarded even more with Rewards. We’re happy to announce that we have upgraded all of our Memorial Credit Union credit cards with new EMV (EuroPay MasterCard®) computer chip technology that improves fraud protection and security. This makes it even harder for your account information to get stolen and for you to become a victim of identity theft. In addition to the embedded chip that’s seen on the front, your new card will continue to have a magnetic strip on the back for merchants who aren’t yet using the chip-activated terminals. 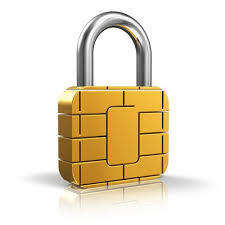 24/7 Cardholder Support Toll Free Number to Report Lost/Stolen MasterCard®, please call 1-800-820-8450. Online Access Access your MCU MasterCard® account online to make a payment, check balances, and view transaction history. Click the GoToMyCard tab once enrolled in MCU Online. * APR – Annual Percentage Rate. Rates, terms and conditions subject to change. **Credit card limits are established for credit cards based on credit history, income and repayment ability. *APR = The Annual Percentage Rates are subject to change without notice. Credit criteria and restrictions apply.